Teaching Philosophy: "I conduct myself with professionalism and consistency to share my enthusiasm and passion for learning with my students each day." Yini Hao was born in 1994 in China. She started to play the piano at the age of 4, and from 2006 until 2012 she studied at the Shenyang Conservatory of Music with Nini. She received her Bachelor’s degree in 2016 from the New England Conservatory of Music. 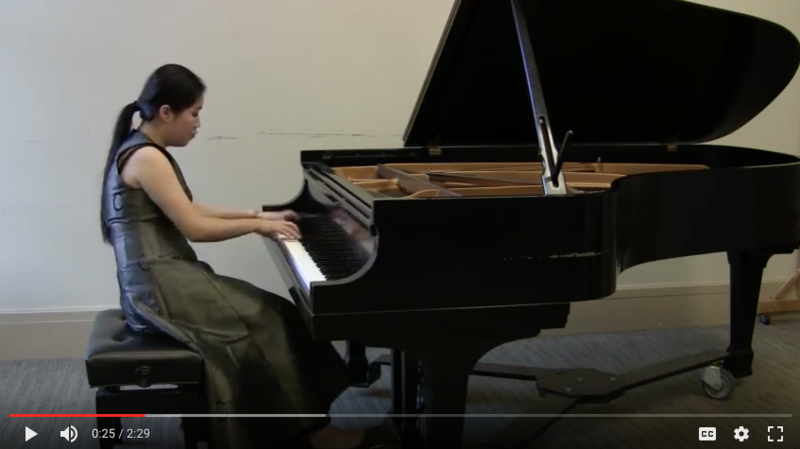 In 2017 Yini won the Yunda youth piano competition at Longy School of Music where she is currently studying for her Masters degree with Rieko Aizawa. In addition to teaching, she regularly performs and participates in masterclasses. Yini has been teaching since 2014 and teaches lessons in English and Mandarin for Note-worthy Experiences, where she has taught since February 2017. Yini served as one of the final judges for the 2018 Note-worthy Experiences Scholarship Competition. In her spare time Yini enjoys cooking, traveling, and photography. She also enjoys listening to music and playing with chamber groups.